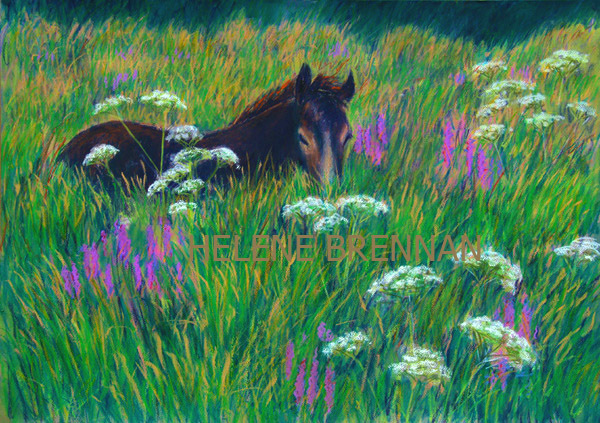 A pony grazing in the long grasses and wildflowers of Connemara. Limited edition print also available, please enquire. Unframed, framing available, please enquire.